For all boys and girls from 9 years old. Bring your Mother, Father, Sons, Daughters, friends and families. Because remember, it is about the conversations we as adults are having with our children too. And it is also about the example we are setting. With so much attention on the negative experiences associated with on-line and face to face bullying I believe it is time to do something positive and expose our children to some empowering messages and strategies. What we focus on expands, and while we are focusing on the negative, we invite more negative. Yes, it is time to instigate powerful and empowering conversations between parents and their children. Yes, it is time we started talking about what we CAN do and what is in our control, instead of focussing on what we can’t affect and what is out of our control. It is time for a message of hope and a knowing that we are stronger than we know and we need to be exposed to concepts and strategies to work out the emotional muscle of resilience so that we may rise up and grow through the tough stuff, claim our space in the world and live our best and most rewarding lives. Enough talking, let’s take some action here. We can dress ourselves up on the outside, now it is time to nurture the inside. 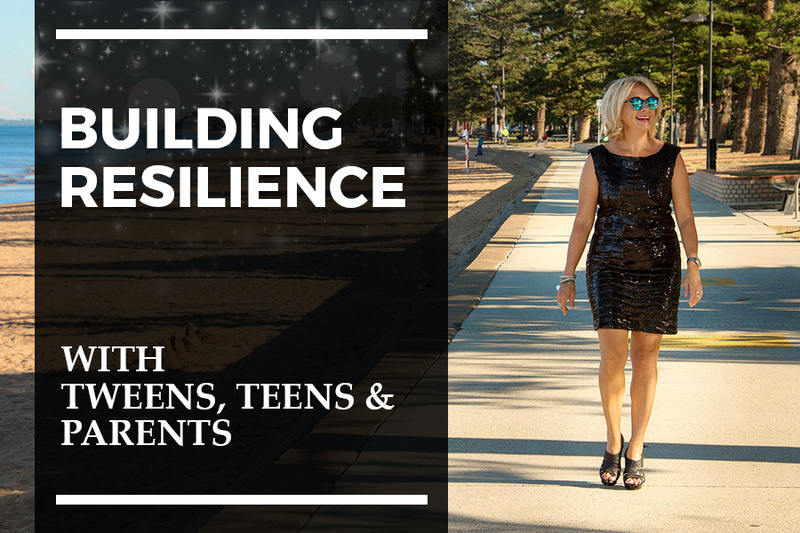 Julie will share stories that will empower our teens and tweens to take responsibility, own their space, know they are worth it and she will share strategies that can be used to deal with, and move through challenging situations rather than sitting in and being devastated and immobilised by them. Let us be emotional strong so we may live our brightest life and leave our legacy in this world.